﻿ Supply Chain Trends 2017 - Get Ahead in the New Year! 2016 has come to an end; the new year is here and with it come new supply chain trends. In a rapidly changing industry like logistics and supply chain, the new year will be filled with decisive changes, innovations and trends, many of which, such as advancing digitization and globalization, are continuations from 2016 and have already caused a lot of change in 2017. 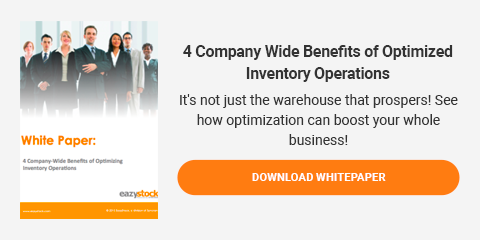 As a company operating in the wholesale distribution industry, it is necessary to continually adapt processes and strategy in order to remain competitive and even to get ahead. This article is intended to explain the Supply Chain Trends 2017 projected by experts and serve as a starting point for your company planning and strategy. The first identified trend can be summarized under the term “Supply Chain Visibility” (SCV). More and more, the production and maintenance of transparency plays a significant role in global and networked supply chains. This is that global transparency can help to optimize inventories and the flow of goods. This optimized supply chain management and the delivery of relevant data among all the stakeholders involved can also be used to identify problems early on; for example, SCV can identify bottlenecks and ensure that the company initiates appropriate measures. With SCV, predictability, resource utilization and process efficiency are increased. However, it is important to involve all stakeholders in the run-up and ensure that the data interfaces function smoothly and automatically. Even just one defective link in the supply chain can contribute to a considerable loss of overall performance. In addition to the interfaces, clearly defined responsibilities and interdisciplinary processes for workers are needed for success. A study by Gartner concluded that good SCV can help speed deliveries or reduce freight costs, for example. The next trend in the Supply Chain Trends 2017 category, namely cloud-based software offered in the form of Software-as-a-Service (SaaS), has increased in recent years. Above all, high flexibility will be a decisive factor for the ever-increasing distribution of such solutions in logistics and supply chains. Often such software can dock onto existing systems and start up without a difficult implementation process. This means that the company can continue to operate the running systems without any gaps, while at the same time can take advantage of flexible, scalable, and cost-effective access to cloud-based extensions. From a technical point of view, this can prove to be extremely lucrative since, as a rule, there are no high purchase fees, just a usage fee. It is projected that by 2020 a large part of supply chain technologies will be offered as a SaaS solution. Data security is an added concern with cloud computing, but the standards regarding the data security of providers of SaaS are becoming more and more stringent in order to counter these concerns. Hand in hand with cloud technology is the growing desire for complete automation, which also plays an important role in the “Internet of Things” (IoT). In the area of ​​storage and logistics, RFID technology, which automatically identifies objects within a certain range, is one of the major topics. In addition, sensors and actuators can be used to drive the functionalities upwards and to detect states of objects or to initiate automated actions; all kinds of physical objects can be virtually imaged and/or controlled in real time. The consequences of this trend are obvious: the more processes and work that can be automated, the fewer employees in logistics and warehouses are required. With regard to Supply Chain Trends 2017, however, this effect is likely to be limited to only the area of ​​storage. Automated robots that can independently move goods in the warehouse are already sparsely used, but this technology is not yet fully developed. In the logistics sector, the consequences of automation are considered minimal: although driverless vehicles are currently being intensively researched and tested, it will still be a few years before they become marketable. On the theme of IoT, in 2014, 43% of executives in the production and logistics sector still did not know what was this term even meant, but this has changed in the past few years and is one of the topics to be evaluated in the near future for most decision-makers in the supply chain. Gartner predicts that by 2020, the number of IoT-connected devices will triple-fold to about 29 billion units! In addition to the networking of data amongst the stakeholders, the increasingly systematic collection, evaluation and provision of internal data in the supply chain area will be even more important. In other areas of the enterprise, this is already standard; for example, in customer relationship management using CRM systems or enterprise resourcing planning systems. Data can then be transformed into suitable key figures relevant for management and then presented in a graphical form or provided as a dashboard. This process is called “business intelligence”. This process of systematically collecting, evaluating, and presenting data has historically been neglected in the supply chain sector, especially in the company’s own network and the internal supply chain, but this is expected to change in the context of Supply Chain Trends 2017. Organizations will increasingly rely on adequate business intelligence tools since the data of movement, traffic and stock are increasingly available in real time. Using this accurate real-time data can help to improve and accelerate decisions for managers in supply chain, warehousing, and logistics. The merging of trade and logistics is one of the Supply Chain Trends 2017. The boundaries between software vendors, company-independent logistics service providers (3PL) and consultants have been blurred for some time, and the areas have only partially interacted. What is new, however, is the interlinking of the areas of e-commerce and logistics. In some cities, for example, Amazon has already started to move away from major logistics service providers such as DHL towards small, local logistics service providers with the potential for Amazon to maintain their own logistics fleet in the future. This trend is expected to grow throughout 2017, not just at Amazon but also at other e-commerce companies. On the other hand, there are similar developments from logistics. For example, DHL has its own e-commerce platform where a large product range is available, and the logistics processes after the purchase are taken over by DHL. In summary, it can be predicted that these changes to trade and logistics will continue to grow in 2017 and will spread to other sectors, such as the food sector. Once concept, “Tax-Efficient Supply Chain Management” (TESCM), will be put into focus again in 2017. TESCM includes incorporating tax aspects of respectice countries into the choice of locations and supply chain junctures into overall planning. This means that the central management body determines where the assets and functions of the company are to be optimally positioned based on TESCM. Along with applicable taxes, another factor is a risk assessment regarding economic and legal factors. The goal is to achieve a sustainable supply chain design that enables the greatest possible savings from a tax perspective while taking into account the risk components. So why is this issue important to Supply Chain Trends 2017? On principle, companies are always keen to save on costs and taxes where they can, but due to a changing geopolitical situation, TESCM requires particular attention. For example, President-elect Donald Trump has announced that he wants to change the entire US tax code to strengthen the US economy by imposing import duties. Likewise, the recent Brexit vote and the UK decidedly leaving the EU single market must be considered in globally planning TESCM. This is another of the Supply Chain Trends 2017 that is a continuation from previous years and can be summed up briefly: the life cycles of products are becoming shorter and more complex. With companies continuing to produce innovative products faster and faster, they are forced to shorten the time-to-market to avoid suffering significant losses due to a high number of competing products. Not only from a financial perspective, but also from the point of view of reputation: customers nowadays simply expect the latest technology to be available as quickly as possible. This situation has significant implications for supply chain management and logistics and creates new challenges for the industry. Return management, inventory management and delivery strategies are all areas that must be optimized in order to meet the increased needs. If these processes are not optimized yet, they should be analyzed in detail in 2017 to identify approaches for optimization and efficiency improvement. Sustainability will be one of the Supply Chain Trends 2017 for two reasons: the first reason is that companies look to cut costs, which can be achieved through the integration of sustainable processes and strategies. Energy costs are rising all over the world which means that resources and methods are being sought to reduce them. One example is the use of electric or hybrid vehicles in logistics. Another example is progressive digitalization and limiting paper use by putting all documents into digital form. This saves material costs and reduces organizational expenses. More stringent government regulations on environmental protection also contribute to the fact that companies are no longer able to ignore sustainable practices. The second reason is that customers are becoming increasingly sensitive about sustainability, environmental protection and fair trading/working conditions, often referred to as “clean-label” movements. There are already numerous approaches to meet the needs of consumers; for example, offering the goods under the fair trade label or even a company’s own initiatives, such as the complete renouncement of various harmful production materials. Companies must be careful when claiming sustainable practices; with the rise of social media, companies are under intense scrutiny, and not using sustainable practices or even a false claim about sustainable practices can quickly lead to a PR disaster and can seriously damage the reputation of the companies connected in the supply chain. In 2017, more companies are likely to follow this trend and launch further initiatives. As already mentioned, the end of the value chain, that is, the customer plays an increasingly important role in production planning. This is the case not only in the area of ​​individualized products, but also in serial production. Now customers usually approach the purchase of a product with relatively clear ideas about design, functionality and quality aspects. If these needs cannot be satisfied, the customer reverts to a competing product or revises his purchase decision. This trend will continue to grow in 2017, which in turn will lead to increased complexity in the production sector. This trend especially impacts production, forcing processes to be implemented in a more scalable and networked way, while rigid production processes are almost completely displaced. This also has a great impact on the design of supply chains, which must also help to diminish complexity and enable a strong market orientation. The logical consequence is that communication between the supply chain and the stakeholders involved is further increased. The last aspect of Supply Chain Trends 2017 is mobile growth. Mobile applications are increasingly used in the Supply Chain. This is also due to the fact that data is more uncomplicated and quickly available with new technology (for example, by RFID). The responsible employees for warehousing, logistics and supply chain can then easily access the data they need regardless of the location including not only “raw data” but also data in aggregated form with individual views and graphical visualizations. Thus, decisions can be made much faster and notifications, alarms or inventory information can be communicated in real-time on mobile device such as a smartphone or tablet. “Simplicity-as-a-service” is a buzzword that is closely linked to the shift to mobile: software providers are not only focused on making user interfaces intuitive and easy to use but are also looking for opportunities to offer customers added value by integrating additional possibilities for optimization, simulation or analysis into the software. Also, to minimize the risk of high costs and resource utilization for potential customers, most software vendors are shifting their business models to cloud-based and offering them as Software-as-a-Service or as mobile applications. This trend will also continue to be established in 2017 and will have an impact on all branches, not just on SCM. In summary, the growing complexity of the supply chain will be a driving force that will have an impact on new technologies and innovations in the supply chain environment. One of the key Supply Chain Trends 2017 is optimized company software that seamlessly networks all partners of the supply chain, increases decision-making speed and processes the flood of data. With this ever growing market, make sure you get ahead of these trends and boost your business!